In this post I’m keen to help some people out – it’s not that you’re dumb, but unless you do this stuff every day you’re likely benefit from at least a couple of points here. Here’s the thing – your mortgage is likely your biggest expense and your home is likely your biggest asset (next to your self). When something’s a big deal, it warrants a little bit of thought right? There really is an art to setting up a mortgage and it’s not something your normally read about outside of a conversation with your bank or mortgage adviser. Financial products or services should fit around you – but often it’s the other way around. Your mortgage structure should compliment your ‘money personality’, after all, the mortgage is a tool really and that’s it – the real emphasis should be on the people and what they’re trying to do. So a big disclaimer here – this blog is about how to make better decisions around how to structure your home loan and what to think about when purchasing a home – it’s not a template for how to do it. 1 – Settlement date. One date that needs to be pinned down before the big decisions get made. – You need to have a settlement date before you can negotiate an interest rate with the banks. – Worried about rising interest rates before you settle on your property? Don’t. Many lenders are able to lock in the interest rates well in advance of settlement date rolling around (but there are things to watch out for here). 2 – Who’s the borrower and who’s the owner of the property? – What about family trusts? 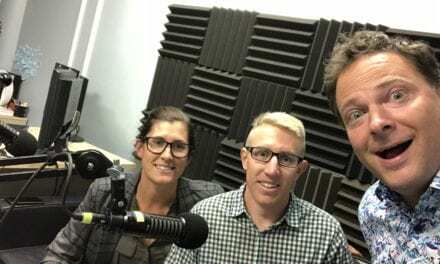 Check out this podcast with legal expert Mason Lockhart – Once very common practice in NZ do trusts still have a place in owning property? Family trusts are increasingly becoming ‘tricky’ when it comes to the banking part of the transaction – if a family trust has been recommended by your legal advisers be prepared for more questions than what you’re normally used to. – What about a guarantor? Well what does that even mean any more? Banks currently are forced into assessing all parties to the loan in order to be viewed as ‘responsible lenders’ – if your parents are retired or have other debt, them acting as guarantor could open up a huge can of worms! 3 – Deposit – what do we even mean by that? – The initial deposit – usually it’s 10% but can often be negotiated down to as little as 5%. This amount is held in a trust account until settlement date rolls around and then gets added to the amount that comes from the bank to make up the overall purchase price for the property. – Now there’s the deposit that the bank cares about – this is the overall amount of cash inclusive of your initial deposit. In some cases you may not have any more cash to throw in the pot but if you do, this needs to go to your solicitor on or before the settlement date. Note that the banks typically like to see confirmation that this deposit has been saved and if it’s coming from family, what are the fish-hooks if any? 4 – How much money do you need from the bank? – Up to 80% and you’re not likely going to have much of an issue. You’ll get a good deal, and the rules won’t drive you crazy. – Beyond 80% of the purchase price is when things get dicey. The banks need to be very confident in your ability here to service the proposed mortgage. As you don’t have as much ‘skin in the game’, they set the bar higher here in relation to the income that you need to be bringing in. – Always ask for more than you need from the bank, so long as you don’t have to pay for the privilege – whilst you’re keen to repay your debt as fast as you can (heck, that’s the proper thing to do according to most ‘experts’ after all right?). Life happens though (think kids, renovations, a new car etc), and when that bit of life happens to you, often the bank may not be on board (like when you’ve decided to go contracting and now that you’re self-employed, technically you have no income!). 5 – What type of loan accounts? – You should as a guide arrive at a loan structure that fits around your goals or milestones that you see coming up in the first 5 years of ownership – this is going to be different for everyone. If it’s your first time, try to stop yourself from the tendency here to ‘get it right’ and make things overly complicated. The loan should be reviewed regularly and during these times is when you can slowly dial up the complexity if you see value in doing so. – There’s no right or wrong way here but be very wary of systems, methods, hot tips and tricks with structuring your mortgage. Everyone’s selling something in this space! There’s serious damage though that could be done if you structure your mortgage in an overly complicated way that you don’t easily understand after the dust has settled and you get your first bank statement. Remember, the higher the complexity of your mortgage, the more dependent you will be on others to help you remember why the heck you set it up like this – keep things simple, but don’t be afraid to experiment with time. 6 – When can I negotiate with the bank? – Once the settlement date is locked down. Banks are not able to really negotiate until you have bought, and there is a finite date in your calendar – remember that the bank who provides you the pre-approval (that you should have before you go unconditional) does not have to be the bank that you end up placing your business with. You are free to choose right up to the end! 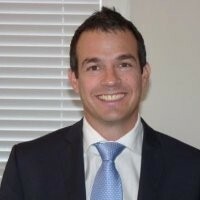 – Focus on the property first, your affordability next, then the loan structure, then the best deal out there. Note the order of importance here. – Fact – your main bank will likely match the best deal you could obtain elsewhere. For some reasons it may be highly advisable to use a different bank for your mortgage than your current transactional provider, but do give them a chance to come to the party to be safe. 7 – What does your solicitor do? They are the gatekeeper for the property purchase and ideally someone who’s on your side. If they’re cranky, cantankerous or cocky, try someone else – it’s not the 90’s anymore, and you’re in charge! They’re the ones who move the money around on the settlement date, then change the name on the title of the property. They will also be advising you on any of the legal clauses inserted into your sale and purchase agreement. What’s a normal amount to be charged? If it’s pretty straight forward with no family trust, expect anywhere between $1.5-$2k. Will this be paid for by the bank? Nope, but hopefully you’ll get a big signing bonus from the bank which could offset most or more of this cost. House insurance is mandatory when borrowing to purchase. You’d be wise to take it out even with no debt. If your house was built before 1945, most insurers will ask a whole lot of questions in relation to the quality of the property so be aware when putting an offer in for that lovely Villa! If it can’t be insured, you may not be able to get a mortgage! Life insurance or other personal insurances – do you need it for the bank? Nope. Would it be a good idea though? Heck yes – for some reason in NZ there’s a lot of suspicion though around how life insurance is sold and often this becomes the focus. Keep it simple – what would happen if you purchased a home with a partner, they dropped debt (or you) and left the full mortgage behind? What’s the plan – sell the home, pay real estate commission then move in with mum and dad?! Ugh! Just get life insurance and you won’t need to worry about moving back into your childhood bedroom! Leverage off professionals and don’t try to be an expert in everything. Even if you think you mastered it last time, trust me, the whole game has changed since then. Real estate agent. Can you trust them – I’d suggest you can a little, if you find a trustworthy one that is. Remember not everything that you’ve told the agent is true either, so if you were to ask them, often they have trouble trusting their own clients! Valuer – Nowadays you cannot order a valuation report yourself with most banks – they wont accept the reports. You’ll need to arrange a report, if you need one, through an independent valuation ordering service that your mortgage adviser or bank will guide you through. Financial adviser. Most financial advisers can assist you with arranging mortgage finance, but not all mortgage brokers would likely call themselves financial advisers. Deal with someone who takes into account your broader goals and can assist you with developing an over-arching view of your finances. Often their service is free if taking out the mortgage through them, and it doesn’t cost you any more when it comes to negotiating with the bank. Accountant. Now traditionally unless you’re self-employed or you own investment properties, you may have nothing to do with an accountant. In the new world with the talk of capital gains tax heating up, accountants will likely be consulted far more often. Again though, like any professionals, there’s no harm in leveraging off the experts when you’re uncertain of the answers yourself. Break fees (This is why you may want to avoid complicated split rate loan accounts). Note that break fees are calculated daily so best to check in often when planning a move that involves repayment of your mortgage. 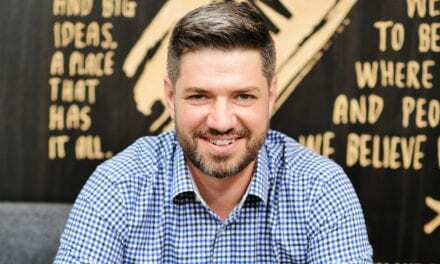 Why to keep your main transactional provider and your home loan provider separate – it puts you in a position of power and you’re more likely to move your mortgage around to a better option in the future, if one eventuates. Clawback terms for cash incentives. Most lenders will take back all of the cash incentive they gave you on sign-up within 2-4 years following the settlement date – best to factor time into the equation when shopping around. 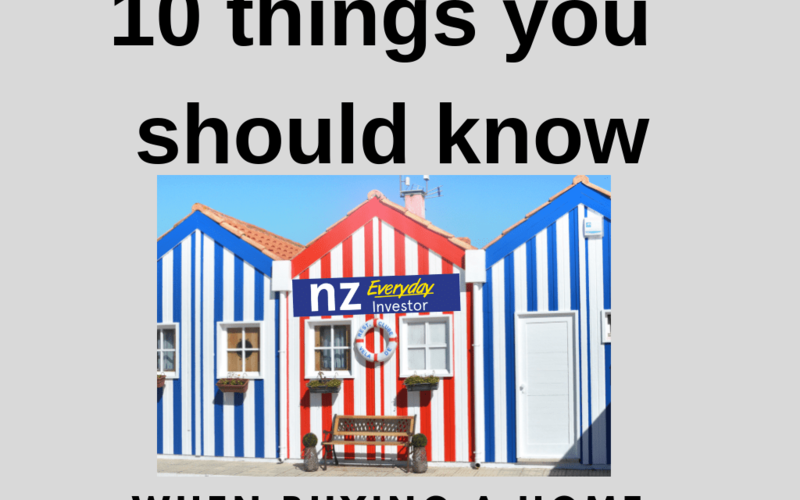 So there you go – there’s a few things to get right when locking down that new mortgage, and there’s also a few traps you could still get in (no matter how smart you are in your day job) when getting into your next property. Get the mortgage right for sure, but it’s more about the house that you’ve just bought and how that ties into your overall financial plan – that’s a broader discussion. Your home will be your home, but it will hopefully also generate wealth. Wealth is good and wealth will help provide for your needs later on without reliance on the state. Bob and Penny: Everyday Property Investors in Action! 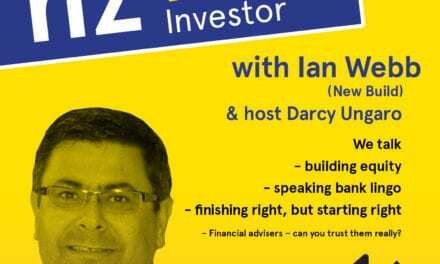 Ian Webb: How to build wealth through property – literally!